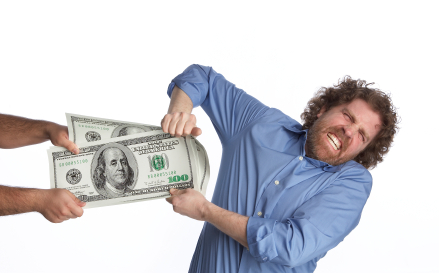 Thinking of Suing Your Client for Unpaid Fees? Think Twice. We’ve all been there. Long days. Late nights. Slogging away for the benefit of your client. Then, when you send the bill to be paid for your time, nothing happens. Days, weeks and months go by, to no avail. Your follow up letters, emails and phone calls fare no better. The time has come to file suit to collect. If you are contemplating filing an action to recover unpaid attorney fees, think twice. What may seem to you like a fairly straightforward transaction can quickly turn against you, and morph from a simple collection case into a nightmare. First, clients don’t like to get sued – let alone by their attorneys. It makes them angry; and angry people sometimes lash out. For your client, this can take any number of forms, including a complaint to Counsel for Discipline, a negative online complaint, or negative social media posts. Second, by initiating a lawsuit, you are providing an easy vehicle for your client to countersue you for malpractice. According to the American Bar Association, an estimated 2/3 of all legal malpractice claims come about as counterclaims to suits for fees. Suddenly, the case is no longer about how much time you spent on the case multiplied by your hourly rate. Instead, every action you took in the case could be placed under a microscope and dissected by opposing counsel. Third, regardless of the merits of a malpractice claim, the fact that you have been sued for malpractice will likely have to be disclosed on your next malpractice insurance application. Guess what effect that could have on your rates? Finally, if your case involves one where the court has direct oversight over your fees, or where recovering fees requires you to follow a strict procedural process, make sure you have fully complied with the procedures before filing an application for fees. This is particularly true if a dispute has arisen between you and your client. Not only will the court scrutinize your fee application, but so too will the client. If you have not followed the proper protocol, the court denying your application may be the least of your problems. It could also sanction you for your noncompliance, or require you to disgorge the fees you’ve already been paid. Does this mean an attorney should never sue for unpaid legal fees? Of course not. But here are a few tips to avoid problems in the future. Avoid the problem altogether by getting an appropriate retainer from the client, and have the client replenish the retainer as needed. If the client cannot afford your retainer, chances are she cannot afford your services. Bill at regular intervals. Waiting to bill until the completion of the matter can invite problems. Consider, for example, the recent Nebraska Court of Appeals decision in Crossman & Hosford v. Harbison, 25 Neb. App. 849. The client alleged the attorney waited years to bill her, and then experienced a bad case of sticker shock when she finally got the bill. Put your fee agreement in writing. Make sure the rewards will outweigh the risks and headaches before filing suit. If you have followed steps 1 and 2 above, the amount at issue should be fairly modest, and may not be worth your time or the headache. Review the Nebraska Rules of Professional Conduct the before you file suit, paying special attention to Rule 1.5. Consider using the Nebraska State Bar Association’s Legal Fee Arbitration Program to resolve the fee dispute with your client. You can find out more information about it here. 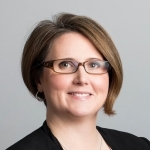 Cathy Trent-Vilim is a partner of Lamson, Dugan & Murray. Throughout her years of practice, Ms. Trent-Vilim has worked on a wide range of commercial and insurance matters, including personal injury insurance defense, coverage claims, contract claims, crop insurance claims, legal malpractice, appellate practice and complex commercial litigation. She has tried cases in the Nebraska county, district and federal courts, in arbitration proceedings, and has successfully argued cases before the Nebraska Court of Appeals and Supreme Court. We invite you to contact us with any questions, or to learn more about what we can do for your unique situation. Please e-mail us with the form below or call us at (402) 397-7300. *Disclaimer The use of the Internet or this form for communication with the firm or any individual member of the firm does not establish an attorney-client relationship. Confidential or time-sensitive information should not be sent through this form.